To "celebrate" the fact that I'm posting on here again after a year and a half, here's an extension of a previous existing mod that I saw on the DT Discord once! I don't know who made the original mod, which consisted of only one level and a bunch of custom cars that weren't mine, so a question mark is left in the description until someone (probably TheButterApple because I saw him post it a lot on the Discord) comes forth and claims it as theirs. I managed to enhance this person's mod and make it complete! If only I could get the unused track in there as well. This mod was made for multiplayer, but it can also be used in single-player, albeit with more glitches than usual. What you are seeing here is a myriad of weird crap seemingly normal collection of images taken in SHAR Multiplayer, yet they are all located in the Bonus Minigame levels used only in that weird Bonus Game that no one plays. 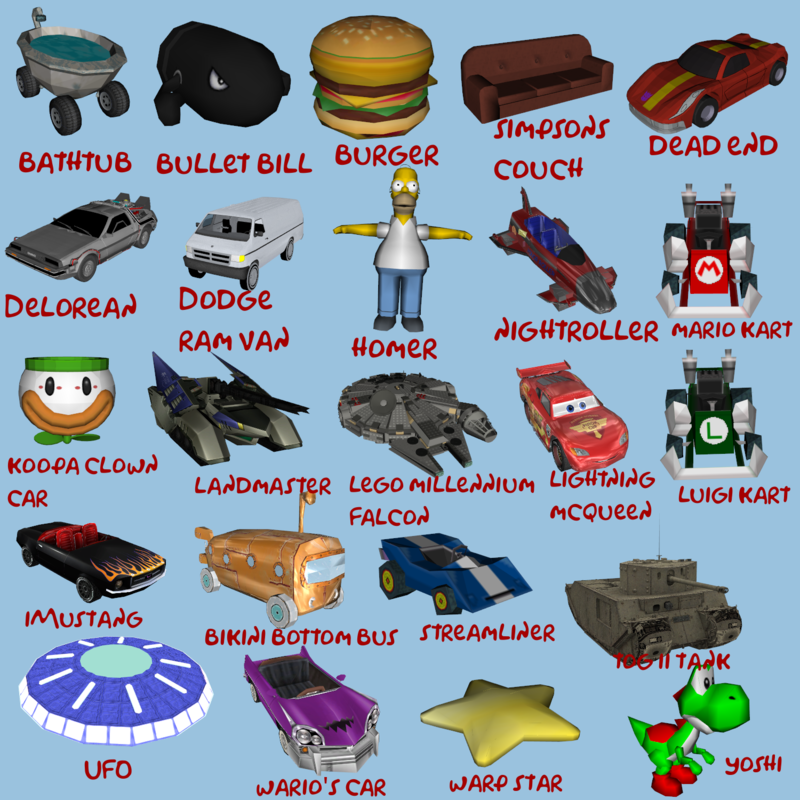 Here are all the custom cars that I added into my version of the Bonus Races. Getting a Hit & Run in single-player may crash the game. Loading any mission from the level you are already in WILL crash the game. The Phonebooth stats for some of the non-modded cars in the Custom Cars version are broken. Getting cars from the phonebooth will spawn them in a strange area, just use cheat keys and F4 to bring it to you. Intended Use: With the Multiplayer Client. While single-player may work, it was clearly not meant for any of these packs. Here's the obligatory video in case you think this mod isn't pretty cool. Gordon CMB Good work, m8! jamin720 I've placed this in the mod folder next to the multiplayer launcher, but it does not work. I am a newbie but can anyone help? I've placed this in the mod folder next to the multiplayer launcher, but it does not work. I am a newbie but can anyone help? TomJB can anyone explain better? i am confused. can anyone explain better? i am confused.